A test version of the Aerojet Rocketdyne AR-22 main engine selected to fly on Phantom Express, a Boeing-built spaceplane in development under the management of the Defense Advanced Research Projects Agency, ignited 10 times in 10 days on a test stand at NASA’s Stennis Space Center in Mississippi. 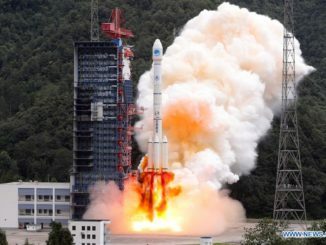 The series of 10 engine tests concluded July 6, demonstrating the high-performance powerplant can be fueled, fired, inspected and cleaned for another firing in less than 24 hours. Burning a mixture of super-cold liquid hydrogen and liquid oxygen, the AR-22 is a version of the reusable main engine that powered NASA’s space shuttle. The shuttle orbiters used three of the engines on each flight, and four of the engines left over from the shuttle program will power NASA’s heavy-lift Space Launch System, scheduled for an oft-delayed inaugural test flight in 2020. DARPA’s Experimental Spaceplane program, which is funding the AR-22 engine testing and development of Boeing’s Phantom Express vehicle, has a core objective of demonstrating the capability to launch 10 times in 10 days, for less than $5 million per flight. NASA’s space shuttle orbiters and main engines took months to reconfigure for new flights, and the engines on the Space Launch System will be discarded after each mission. 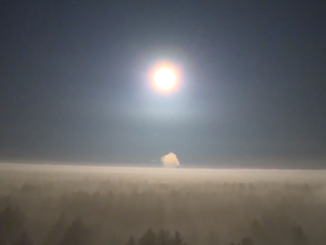 Officials said July 10 that the test series at Stennis achieved all objectives. “We were able to successfully complete the ground demonstration of this engine, and to cycle it 10 times in 240 hours,” said Jeff Haynes, Aerojet Rocketdyne’s AR-22 program manager, in a conference call with reporters last week. Assembled from components that previously flew on shuttle missions, along with a new Honeywell controller developed for the SLS program, the AR-22 engine fired for at least 100 seconds on each of the daily test runs at Stennis. The engine is capable of generating more than 375,000 pounds of thrust, according to Aerojet Rocketdyne. Haynes said the test series was the first time, in his knowledge, that a hydrogen-fueled rocket engine of the AR-22’s scale was test-fired at such frequency. Scott Wierzbanowski, manager of the Experimental Spaceplane program at DARPA, said the successful conclusion of the high-tempo AR-22 test-firings in Mississippi was a “significant go/no go milestone” to move forward with development of the reusable booster, which will take off vertically like a rocket and deploy an expendable upper stage to place up to 3,000 pounds (1,360 kilograms) of payload into low Earth orbit. Once it releases the upper stage, details of which Boeing has not yet confirmed, the winged booster will glide back to Earth and land on a runway, where ground crews will begin readying it for another mission. 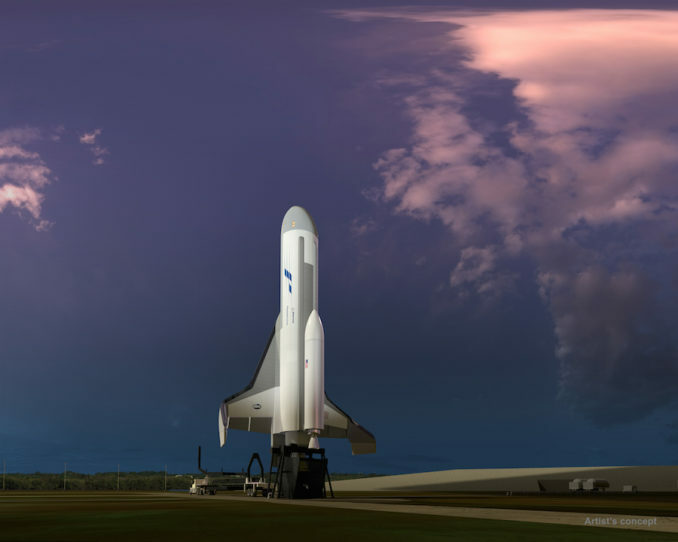 DARPA estimates it will invest $146 million into the Experimental Spaceplane program — formerly known as XS-1 — under the auspices of the government’s agreement with Boeing, which is spending some of its own internal funding into the program in a public-private cost-sharing arrangement. Boeing beat out Northrop Grumman and Masten Space Systems in a DARPA competition to design and build the spaceplane booster. The aerospace company’s Phantom Works division is responsible for developing the Phantom Express spaceplane, which measures about the size of a business jet. DARPA is spearheading the Experimental Spaceplane program to foster a less expensive, more flexible approach to placing small satellites into orbit. The Pentagon research arm is also investing in other forward-looking space technologies, such as satellite servicing, in-space assembly, and tactical space-based reconnaissance. Boeing and DARPA intend for the Experimental Spaceplane, or Phantom Express, to be operated more like an aircraft than a conventional launch vehicle. According to Wierzbanowski said, the Experimental Spaceplane will be sized to serve a payload segment between light-class commercial launchers, such as vehicles developed by Rocket Lab and Virgin Orbit, and heavier boosters from SpaceX and United Launch Alliance. “If we’re successful in doing this, which is basically reducing cost to space and the time to space by an order of magnitude, we believe we’re going to be able to come up with new capabilities that haven’t been possible in the past, things like launch on demand capabilities of payloads, or prompt global reach,” Wierzbanowski said. DARPA and Boeing are also looking at commercializing the Phantom Express capability, assuming flight tests are successful and a favorable market. Boeing is finishing up fabrication of the liquid oxygen tank for the Phantom Express spaceplane at a facility in the Puget Sound area near Seattle, according to Steve Johnston, director of launch at the company’s Phantom Works division. Engineers are going through critical design reviews for components and subsystems on Phantom Express, and a top-level critical design review — a milestone in which the design of the vehicle will be frozen — is planned in early 2019, Johnston said. Final assembly, integration and testing of the Phantom Express vehicle should begin in mid-2019, he said. Managers said they were encouraged by the performance of the AR-22 engine during the recent test campaign at Stennis. The results suggest ground crews can service the engine fast enough to achieve the spaceplane’s 24-hour turnaround objective, Johnston said. “We did learn quite a bit from this demonstration,” Haynes said. “The first thing we learned is this engine is robust enough to handle the demands of the frequent cycling that we did. Engineers decided to accept less stringent moisture requirements than those used on the space shuttle program. 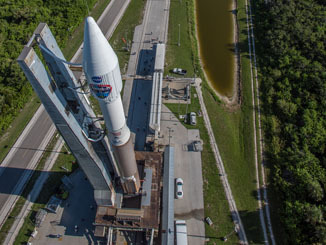 Instead of taking days to dry out the engine between starts, Aerojet Rocketdyne crews in Mississippi were able to dry the AR-22’s internal components in as little as six hours, Haynes said. 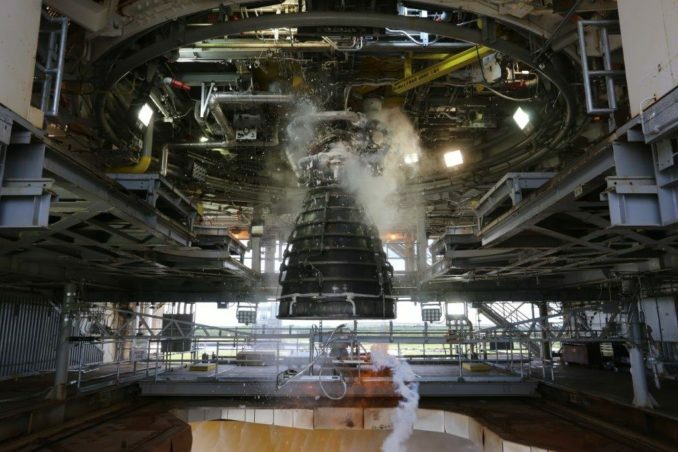 Technicians also conducted less intrusive inspections on the engine between firings than typically performed on engines for the space shuttle and Space Launch System, he said. The inspections included torque checks on the AR-22’s turbomachinery, leak checks and limited borescope examinations. On the final firing of the series, engineers tested a new automated health management system on the engine. The Phantom Express will fly with a single AR-22 engine firing for about three minutes on each launch, Johnston said, so a premature engine shutdown would lead to a mission failure. “We were able to keep the engine running, which for this vehicle would be an important reliability feature to have,” Haynes said of the health management system test. Aerojet Rocketdyne will begin assembling a second AR-22 engine later this year for additional test-firings next year, Haynes said. The second AR-22 engine will be delivered to Boeing for installation on the Phantom Express vehicle for the spaceplane’s flight tests. Officials said the Phantom Express will begin flight demonstrations in 2021, a year later previously planned. “The first flight will be the reusable booster only, so there will be not be an expendable upper stage,” Johnston said. “The reusable booster is always suborbital, so it will be a checkout of our ability to operate the reusable vehicle. Boeing has not officially announced where it will launch and land the Phantom Express spaceplane, but industry officials say a site on Florida’s Space Coast is the frontrunner.